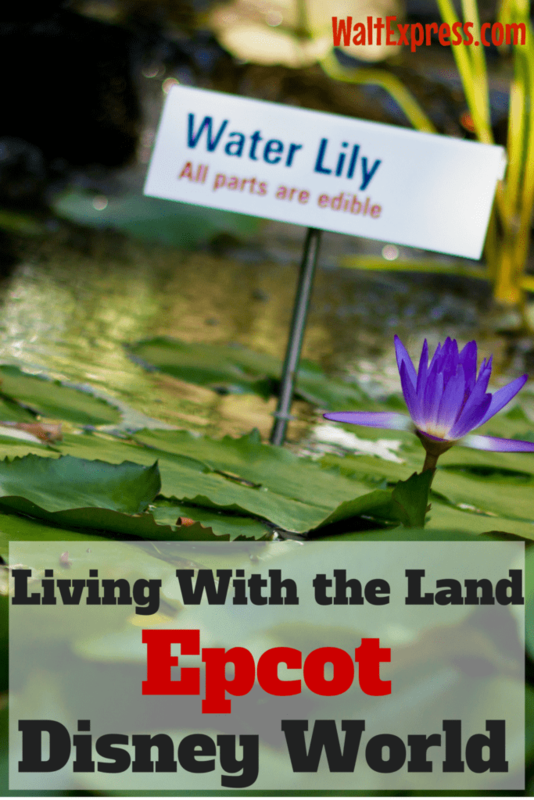 Catch the Video: Living with the Land at Epcot in Disney World to see that this is not your ordinary, educational attraction! Living with the Land is in the Future World section of Epcot at Walt Disney World Resort. To get to this attraction, you will pass under Spaceship Earth, or as my family refers to it as “the Epcot ball”. Take a right going between the Innoventions building and Epcot Character Spot. At this point you will keep heading straight bringing you to The Land Pavilion. Once you enter The Land Pavilion, you will want to head down to the lower level to Living with the Land. Living with the Land is a boat tour that lasts approximately 15 minutes. This ride takes you through our past, present and future ways of producing food. You will board a boat much like the ones used at the Magic Kingdom attraction it’s a small world. You begin your journey with a booming thunderstorm blowing overhead. From there, you will make your way through the rain forest. Finally, you find yourself on a farm with wheat fields and farm animals. At this point you will explore the greenhouses of Living with the Land. 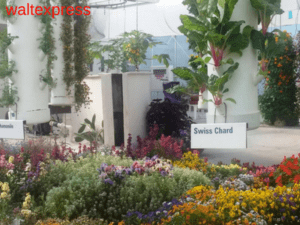 In the greenhouses you will see fruits and vegetables being grown in new, innovative ways. You might see tomatoes growing from trees, Mickey shaped pumpkins and nine pound lemons! You will ride through a fish farm and see shrimp, American Alligators and catfish. Make sure you look for a hidden Mickey in the lettuce patch. There is not a height requirement for Living with the Land. No matter what age, or height, everyone in your party will be able to enjoy this attraction. Living with the Land is wheelchair accessible. If you are using an ECV, you must transfer to a wheelchair. Audio Description, Handheld Captioning and Language Translation devices are available upon request. FastPass+ is offered for Living with the Land. Children under 7 years old must be accompanied by someone 14 years or older. Living with the Land is a great ride on a rainy or hot day. Don’t think because this is an educational attraction that it automatically means boring. 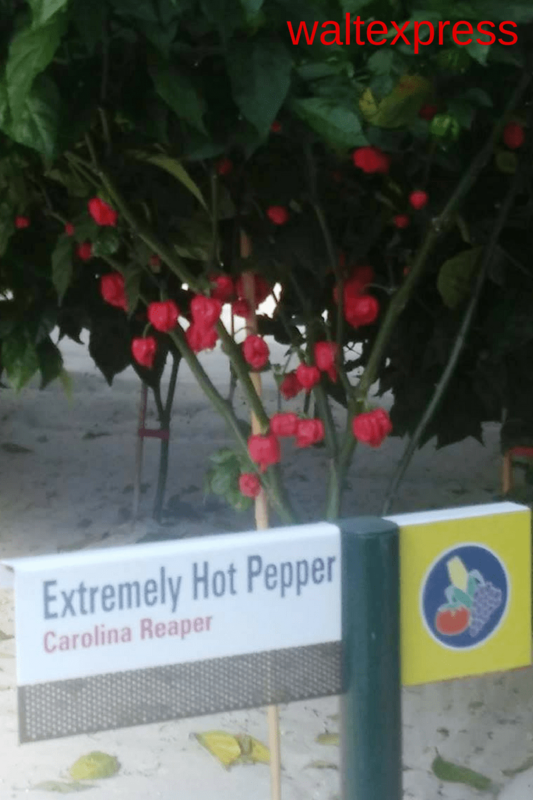 It is very interesting to see the innovative ways scientists are coming up with to grow produce in every environment. If your feet need a break, this is a great choice! There are two restaurants in The Land Pavilion. Sunshine Seasons which is a quick service restaurant and Garden Grill which is a table service/character restaurant. Something really cool that brings Living with the Land and these two restaurants together is the things you see growing in the attraction actually end up on your plate! That’s right, if you choose to eat at Sunshine Seasons or Garden Grill, which are both excellent choices, the produce and seafood served were grown and raised right there in Epcot! Visit the fish farm during feeding time and see American Alligators. Release ladybugs into the greenhouse to help protect the plants. Activity subject to availability. Discover the latest plant-growing techniques, including hydroponics-look, Ma, no soil! The Behind the Seeds tour is great for anyone that has an interest in gardening and/or natural sciences. It is also an inexpensive tour: $20 per adult and $16 per child. This educational tour is great for all ages! Do you enjoy Living with the Land? Have you taken the Behind the Seeds Tour? 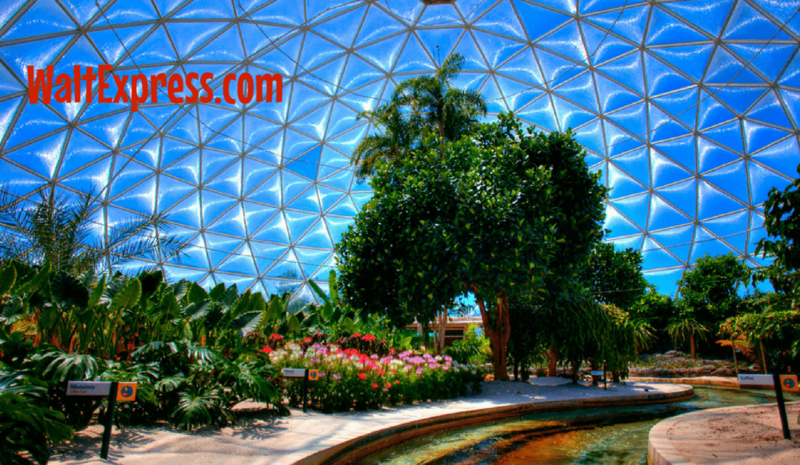 Join us at Disney Express Lane Facebook Group to discuss this and many other Disney related topics.